Samit Basu is undoubtedly one of India’s best fantasy writers. 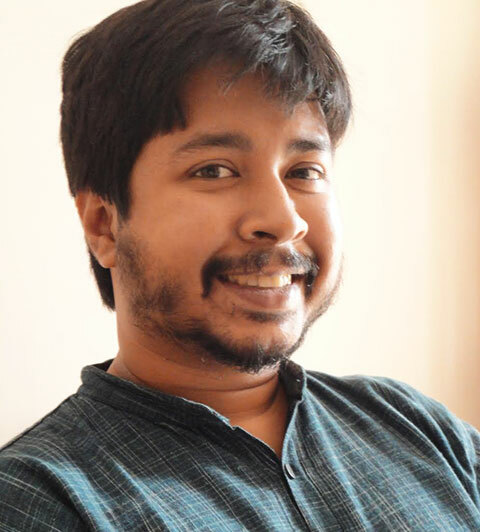 Best known for his rather excellent Gameworld trilogy, Basu’s more recent superhero novels Turbulence and Resistance have been very well received by fans and critics alike. He has also worked on a number of graphic novels, including Local Monsters, a book about six immigrant monsters living in Delhi, and Untouchable, a collaboration with Lucifer writer Mike Carey. 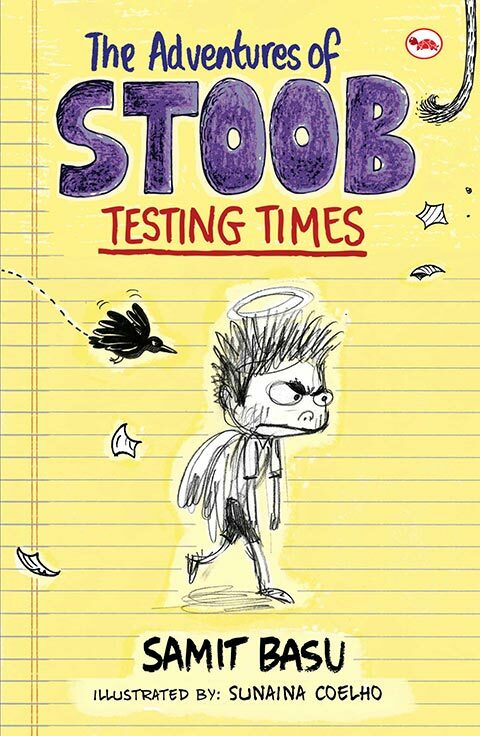 The Adventures of Stoob: Testing Times by Samit Basu. A few things. A lot of friends have kids now entering middle school, and they tell great stories. I tell them stories in return, which they like—and with kids, you know they’re not saying they like them to be polite, because kids don’t have that filter. And a lot of their stories and mine are essentially the same—the technology and social habits are different, but a school story is a school story. I also wanted to write a short, funny, real-world book where the protagonist didn’t have to save the world and fight monsters and so on. I also have an old friend and former school partner-in-crime who has the uniformly curiosity-evoking nickname Stoob. So Stoob happened, and it’s going to be a series. How did the writing process for Stoob differ from your previous work? The writing process isn’t different from my previous work—it’s just that the protagonist is 10, and because it’s not fantasy or science-fiction, everything is easier idea-wise, of course. The illustrations seem to form an integral part of the story. What was it like working with Sunaina Coelho? She’s wonderful, isn’t she? Stoob was going to be an illustrated series from the start, and Sunaina is, of course, a very well-known illustrator; one of the best in the country. Do see her other work. I knew I wanted illustrations (actually, art) that weren’t a direct visual of things that were happening in the story, but tangential things, digressions that in other books would have been footnotes. I think it just works better that way, at least for these books. I’ve worked in comics for several years as well, which always makes artist collaborations easier because you learn to imagine things visually. Not that Sunaina needed any handholding or instruction—she just took the illustrations notes and the manuscript and flew with them. I don’t think we even interacted until I sent her fan mail after seeing her drawings. Did the book as well as the characters of Stoob and his friends draw from your own childhood experiences? Yes. Definitely. But all characters are mixes of people you know, people you’ve read, and so on. The book has recently been compared to Jeff Kinney’s Diary of a Wimpy Kid. Did you have Kinney’s work in mind when you set out to write Stoob? It’s a flattering comparison, because those books are great fun. Yes. Also Calvin and Hobbes, Adrian Mole, all the Enid Blyton school books I’d devoured as a child, Nigel Molesworth, and other things. School books are great fun. We had a large library at home and I had nothing else to do, so my reading as a child was completely age-indiscriminate and genre-indiscriminate. The people in my family weren’t believers in caste systems either in real life or with regards to books (or in organisation in general), which means that books were just stacked next to each other randomly. I’d move from Blyton to Sheldon to Lee like an insect literally chewing through those books. I had no idea what children’s books were as a child, and I continue to read them with great pleasure. Also a lot of very serious books I read as a child and didn’t understand at all now bring great gushes of understanding when I take a crack at them again. Have you already started working on the next book in the Stoob series? Yes. The second one is already written and with Sunaina. I’m having fun with this. What can readers expect from you in the near future? Publishing-wise, Stoob 2, which is called A Difficult Stage, and is about Stoob’s adventures in the theatre. Lots of stuff in lots of other media, but those are in other people’s hands now so I shouldn’t say anything. By Urvashi Bahuguna · In conversation with Mahinn Ali Khan: writer, archivist, and innovator.